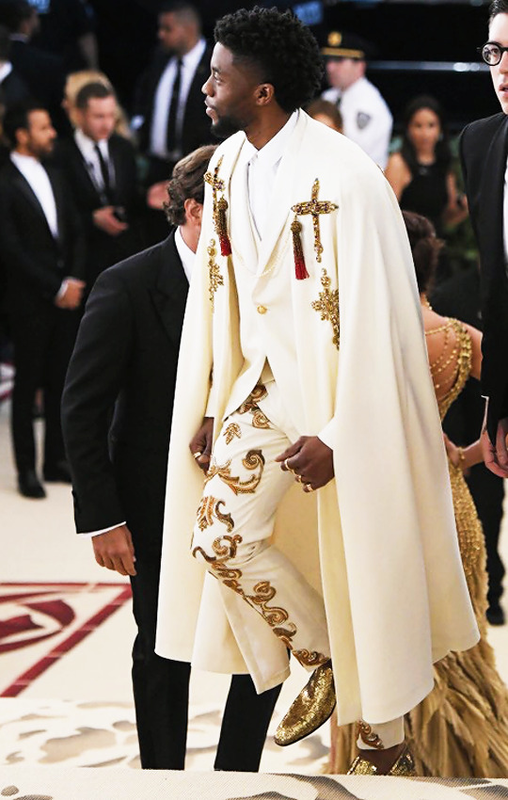 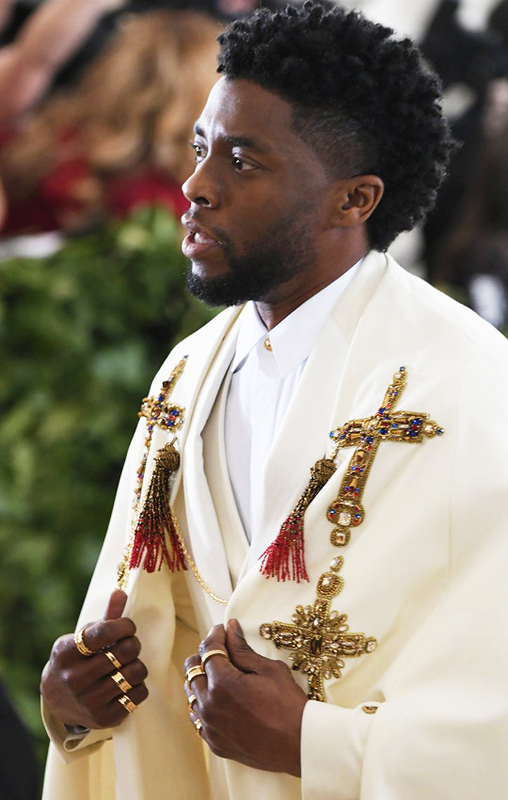 Chadwick Boseman attends the Heavenly Bodies: Fashion & The Catholic Imagination Costume Institute Gala at The Metropolitan Museum of Art on May 7, 2018 in New York City. was the cycling shorts under shorter sundresses/denim shorts a 90s thing? I mean, it’s a stopping my thighs chafing thing now but I feel like it was a 90s thing because I’ve been attempting to find the right white tee and the right strappy sundress to go with my cycling shorts for close to a year now because I realised that 10 year old me was a fashion genius.